The Rocky Mountain Lions Eye Bank’s mission is to fulfill the wishes of eye donors and their families to help another overcome blindness through transplantation and research. Our dedication to this mission allows eye, organ and tissue donors in Colorado and Wyoming to provide over 2,500 sight-restorative transplants each year. 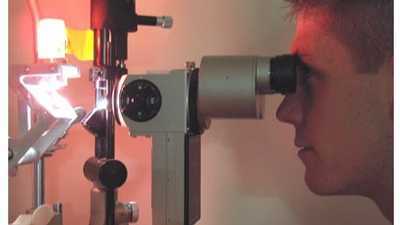 The Rocky Mountain Lions Eye Bank fights blindness through the following programs. You can help support these programs here. The primary mission of the eye bank is to fulfill the wishes of eye donors and their families to help another in need. 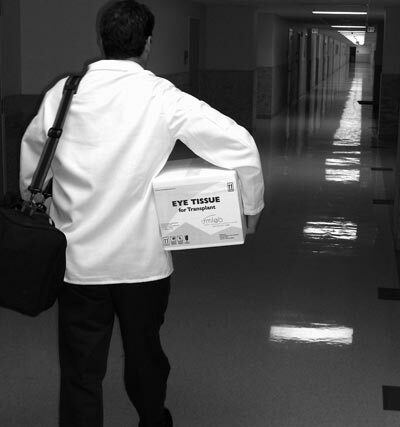 Donated eye tissues are first placed with recipients on a local transplant waiting list. If a suitable recipient cannot be found locally, a search is conducted with other eye banks in the United States. If a suitable recipient still cannot be found, a search is conducted through international networks to find a recipient in other parts of the world. In this way, no transplantable cornea is wasted. Tissues that cannot be transplanted for medical reasons can often be placed in research programs. This fund defrays costs associated with international tissue placement, such as increased shipping fees, additional testing and a lower cost reimbursement. Without this vital support, eye tissues unable to be placed with recipients in the United States would be destroyed. The fund also supports humanitarian missions of local transplant surgeons who donate their time and skills in developing countries. Addressing the worldwide need, the Rocky Mountain Lions Eye Bank has helped establish eye banking practices and donation programs throughout the world. The eye bank brings eye, organ and tissue donation education to a variety of audiences the eye bank relies on to fulfill its mission. These include physicians, nurses, coroners, funeral directors, hospices and hospitals. RMLEB also spreads the donation message to thousands through awareness campaigns and other public venues. Established in 1983, the Eye Surgery Fund assists patients without the financial means to cover medically necessary corneal surgery. Candidates enter the program through sponsorship from their local Lions Club. The Rocky Mountain Lions Eye Bank reviews the application and may assist with a grant toward surgery costs. In addition, the eye bank works to negotiate waivers or fee reductions from surgeons and hospitals to match money awarded through the fund. The eye bank supports 50% of the maintenance costs of the donor registries in our service area, electronic databases where residents can register their consent to being eye, organ and tissue donors. Sign up to be a donor here. Consider supporting these important programs by making an online contribution today.